Shrinks the pores and makes my skin more radiant and smoother. Recommend to anyone who is looking for an excellent aging cream. I've been using this for couple years and it works wonders. Helps smooth out the fine lines and wrinkles. Awesome! My skin is clearer, smoother and smaller pores with the use of this product. Fine lines diminished too !! Highly recommend. Very nice product. Works as advertised. 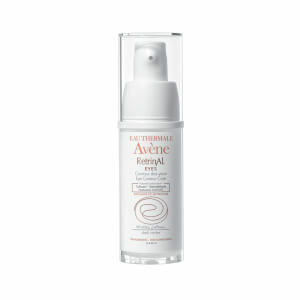 Avene is a great line of products. I am in my sixties and this is the ONLY cream I have ever used that actually makes a difference. It makes my skin silky smooth and look more supple and alive. The real test is that I have given it to my daughter and daughter-in-law as gifts and they agree with me. I wish I had found it years earlier. It is pricey but worth every penny. If you only spend extra money on one beauty product, this should be it! I love this product. Leaves your skin looking beautiful without all the drying of Rx retina but much more effective than over the counter products. The seller sold this or much less than I have purchased in a spa. Timely arrival too. Will buy many more times. Also this product lasts because you only need a small amount each time. I started out using the .005. Then after a year of use moved up to the .1 cream. If you have sensitive skin, you might want to start out using this every other night until you build up. Great product! I just started using this...so far -it's great! My skin is sensitive, however, I am able to use nightly. It does not dry out my skin. I am very happy with Avene products. I've used this product nightly for years. 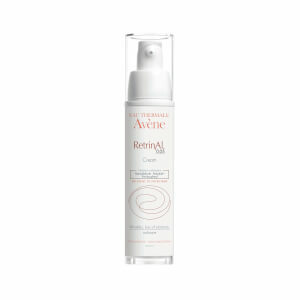 It helps to maintain a smooth looking appearance without redness or irritation. Avene Retrinal was recommended by my Aesthetician. excellent product! I use it nightly and find my skin smooth and clear in the morning without irritation.